We are pleased to invite you to meet us at our stand at SMM Hamburg 2018. 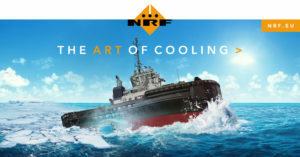 You can find the NRF stand at the NMT (Netherlands Maritime Technology) Holland Pavilion in Hall B7. Beside the well-known product portfolio of NRF we are proud to present this year our new range of marine genset cooling systems. This new product range comes along with the introduction of our new Multy Gallery Cooling System which gives advantages in weight and performance. In combination with high performance anti-corrosion coating we are now able to offer a first-class product for the marine market. NRF can provide a free entrance ticket to enter the exhibition. Please send your request to marine@nrf.eu and will send you a unique voucher code. Want to plan a meeting with NRF at the exhibition? Please click on the button below.